The Italian classic of many a romantic moment. 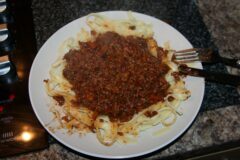 Also known as Spaghetti Bolognese. 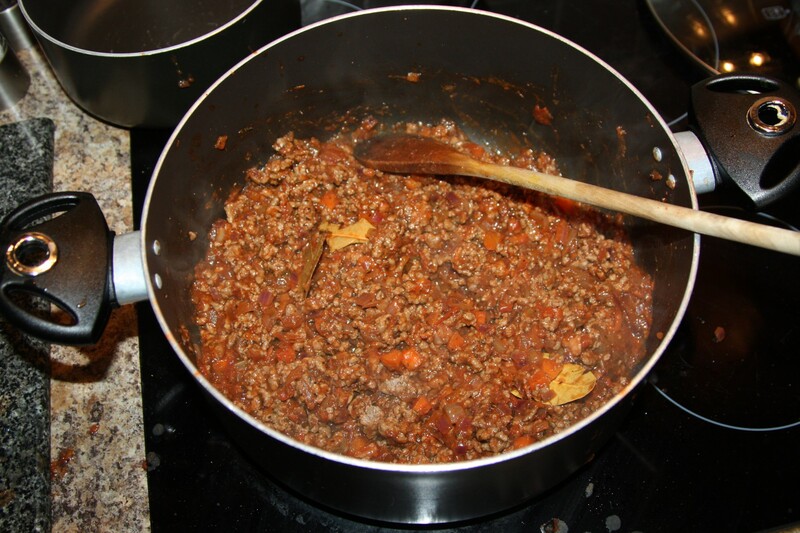 Italian Main Course. Published 9th Apr 2013 by Jon Scaife. Updated 2nd Dec 2018 . Traditionally bolognese sauce isn't served with spaghetti as we have it now, but is served with tagliatelle. 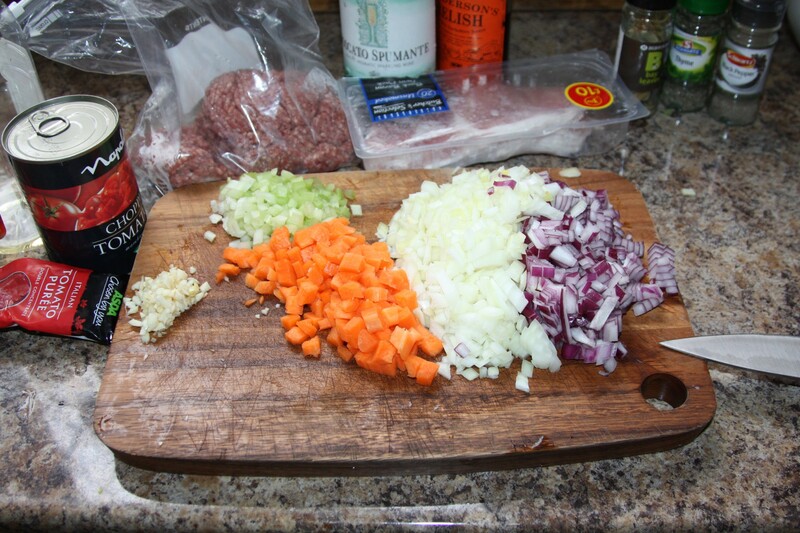 A lot more goes into a good bolognese sauce than just beef, onion and tomato. 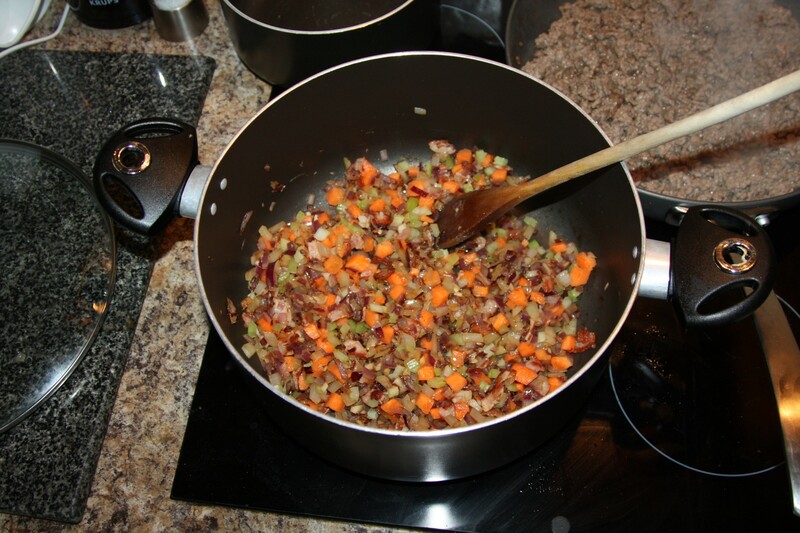 Finely dice the onions, celery and carrot and mince the garlic. 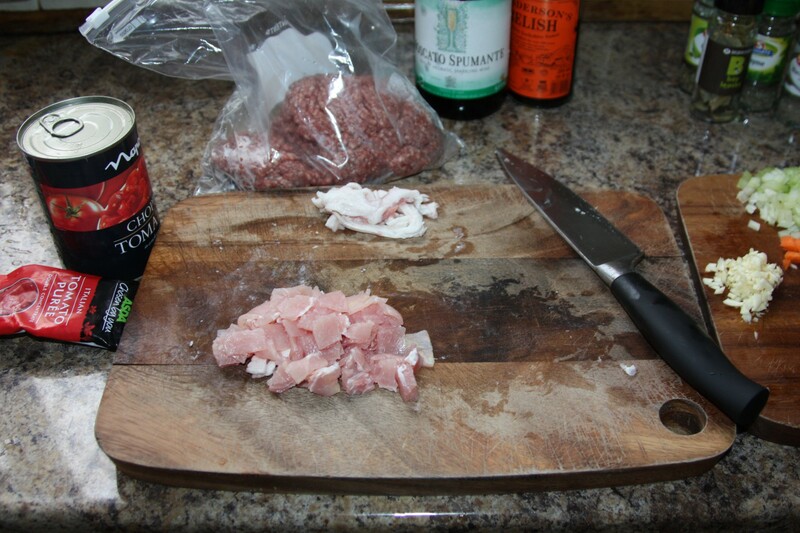 Cut any excess fat from the pancetta and then cut into 1cm squares. 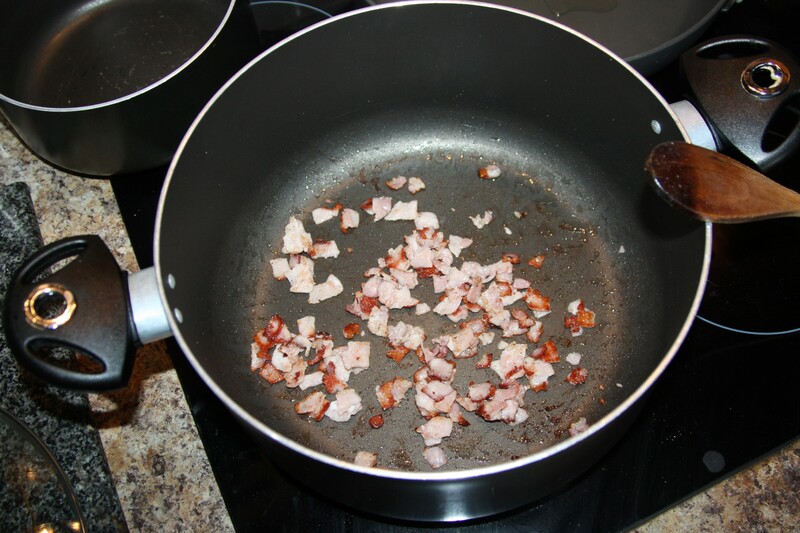 Heat the second tsp of oil in a large, heavy-based saucepan and fry the pancetta over a medium heat until golden. 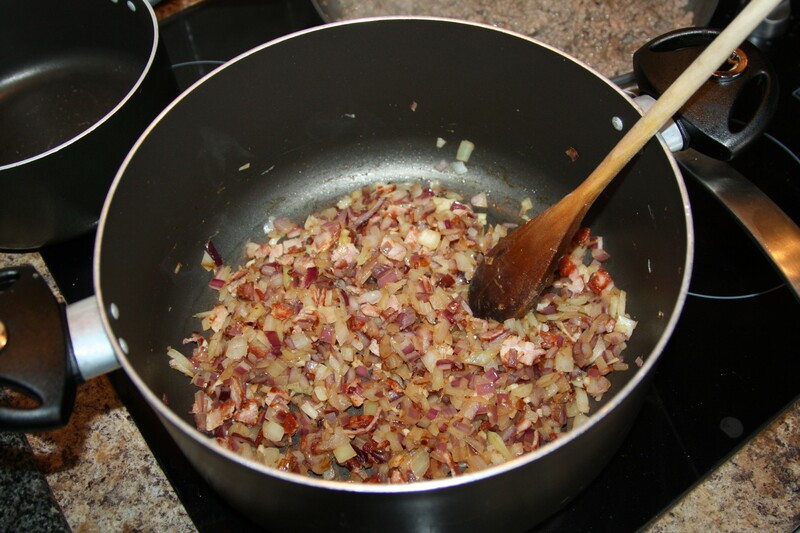 Add the onions and garlic and frying until softened. 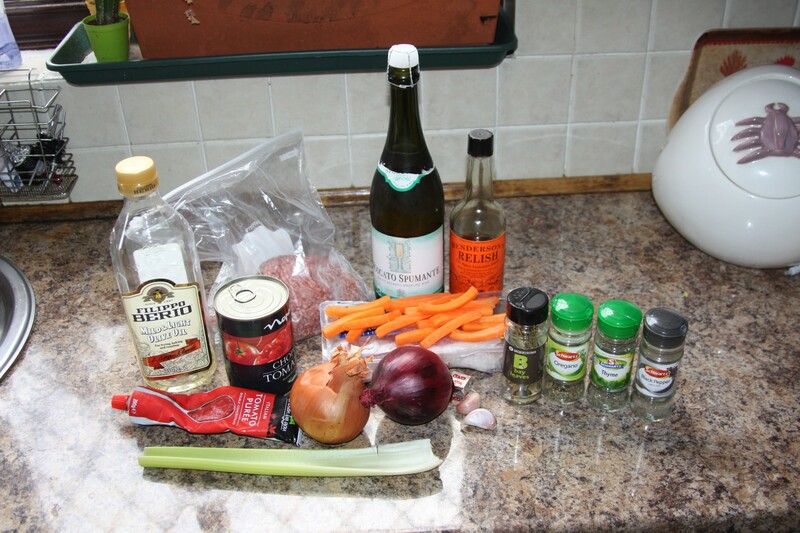 Add the wine and boil until it has reduced in volume by about a third. 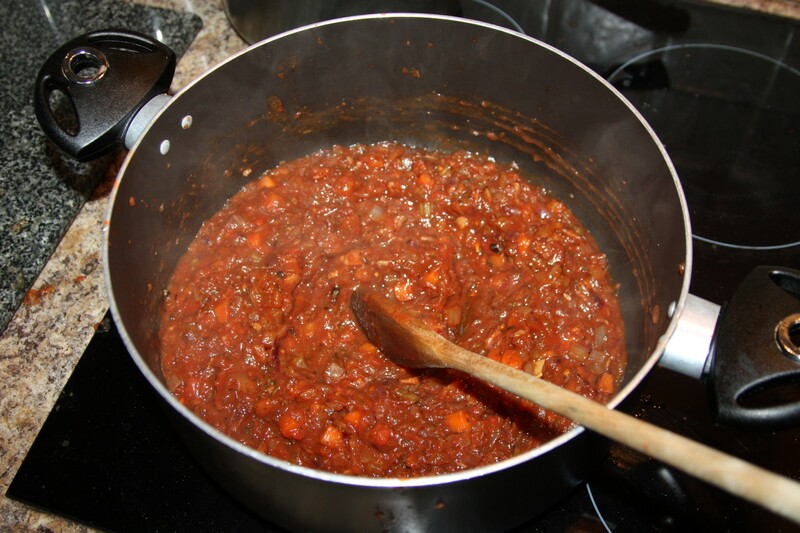 Stir in the tomatoes, bay leaves, tomato purée, hendersons relish, stock cube, oregano and thyme. 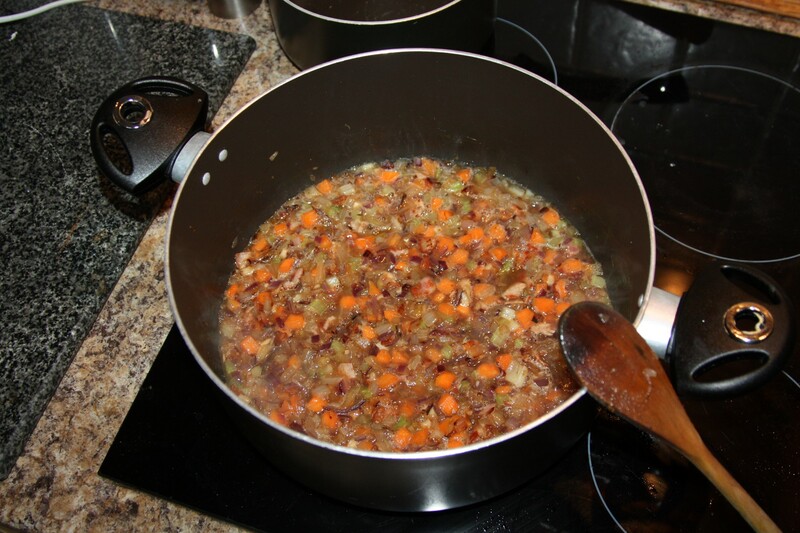 Cover with a lid and simmer over a gentle heat for 1 hour until it's rich and thickened, stirring occasionally. 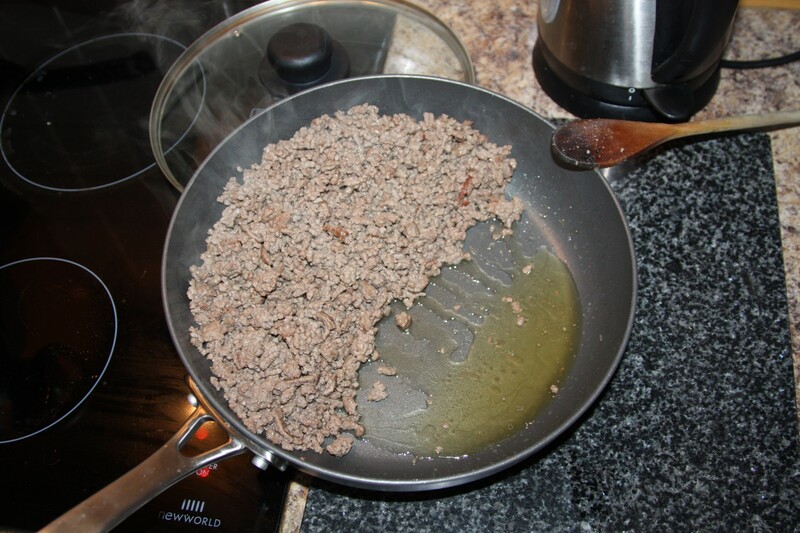 Cook the tagliatelle in plenty of boiling salted water for around 20 mins.